Deeper colour palette, rich tones and the flora abundant in winter, brings all the warmth to an interior for winter. 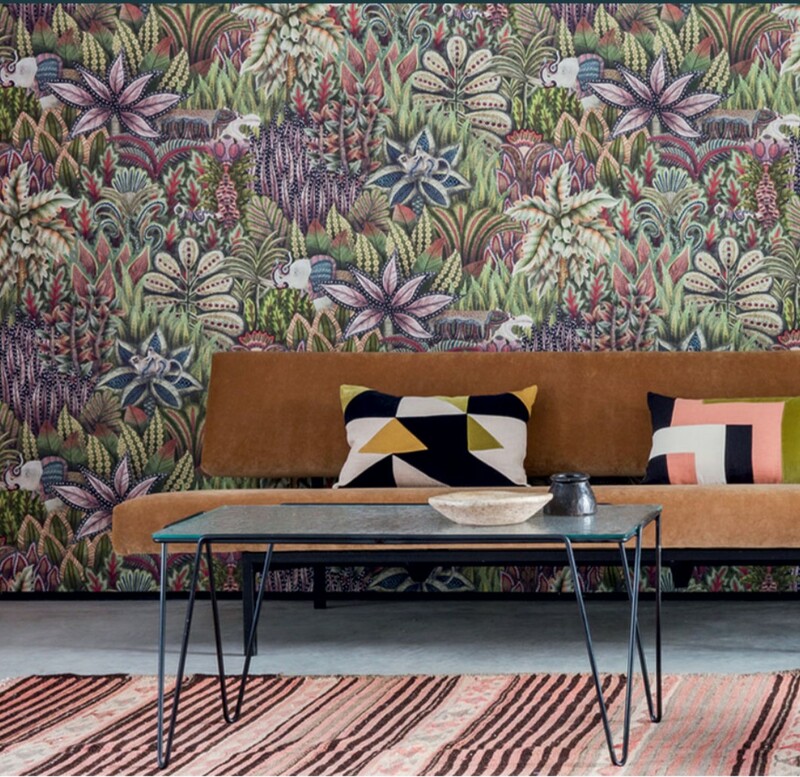 Using reds, purples and oranges, various sizing of floral patterns and dark woods, this winter floral trend combines a love of maximalism and floral interiors. Break up the mix of pattern with dark plain walls or plain seating fabrics. Use dark greens, charcoals or reds in wall paint with burnt oranges, rich purple or bark for curtains and throws. Spring is finally in the air and florals are slowly creeping back into our homes. Hm.com has some new arrivals which we just love, including floral print cushions, table cloth and duvet set, and of course always at a nice price. Looking to freshen up your vase collection this Autumn? Then head to Oliver Bonas where their new selection of ceramics is just gorgeous. Choose from various sizes and colour finishes including dipped, hand finished and glazed. 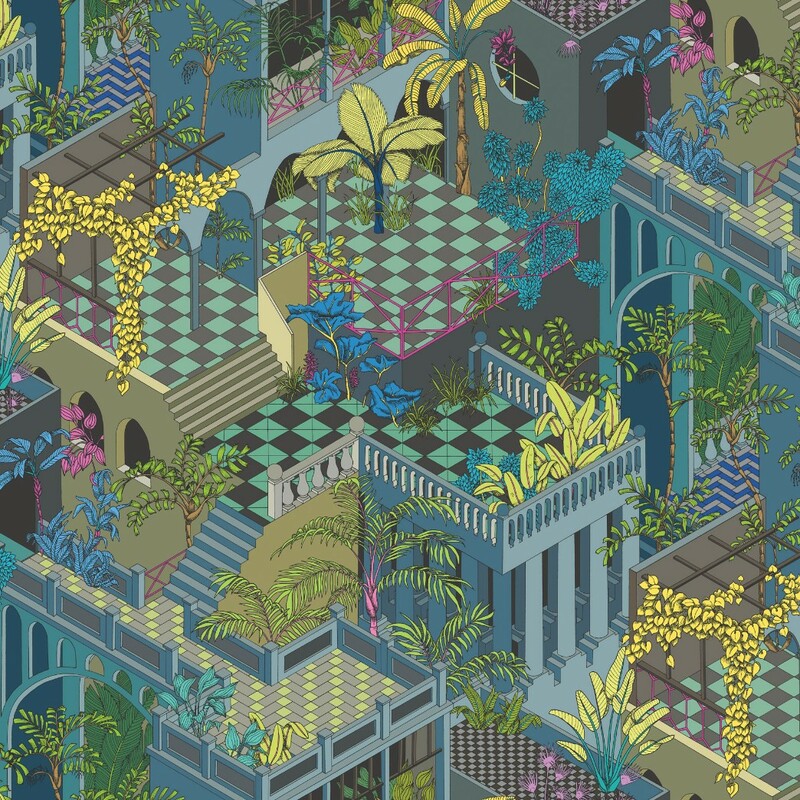 Last year we saw a lot of floral and tropical prints on soft furnishings and in art, as well as geometric pattern continuing to be a popular choice. This year sees the two prints combined creating a clashing mix of colour, pattern and style. 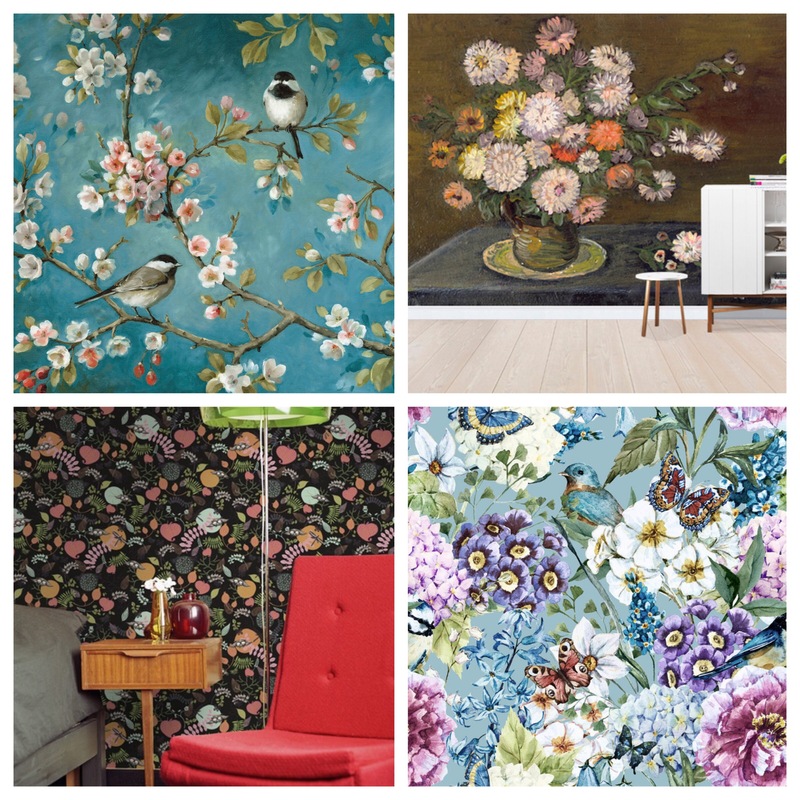 Larger more bold florals are appearing on wallpapers and bed linens. Layer this up with geometric soft furnishings and accessories. A great place to start is with a statement wallpaper, combined with plain furniture and then accessorized with geo pattern. Fill the walls with art, either more floral or geo inspired. The more it clashes the better. Brass and copper tones work great when considering smaller pieces of furniture. A glass or marble topped coffee table or side table will help bring this trend together. Its very over the top and works best with darker interiors. You can go big, or small with this trend. Keep it more subtle on bedding or perhaps a couple of floral cushions on a sofa combined with a geometric rug for example. 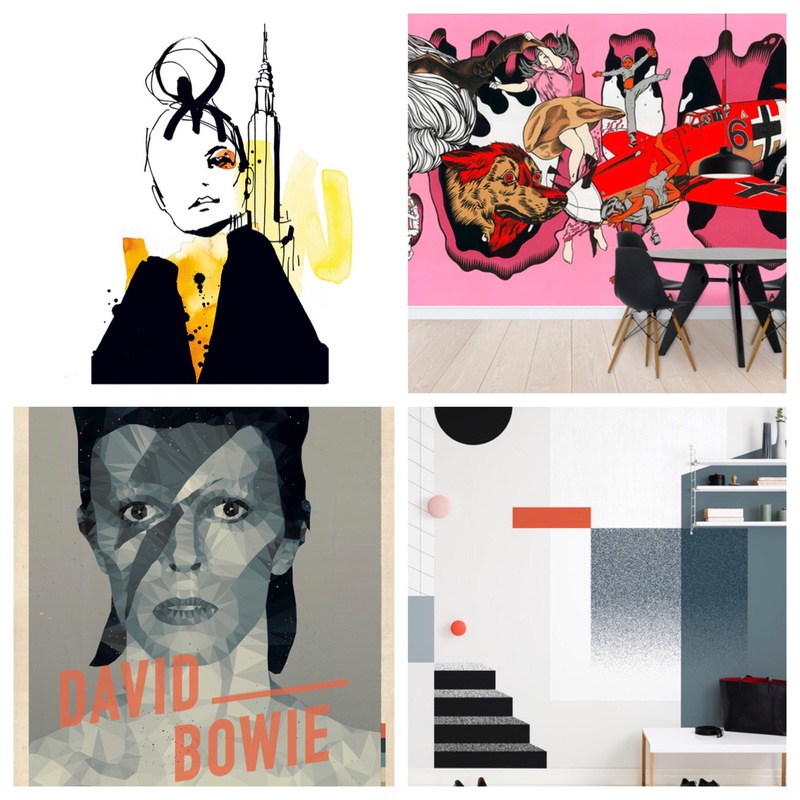 In a world where we are surrounded by art and creativity, modern, surreal, traditional, abstract, graphic, contemporary, or which ever your art style preference, to be able to translate that into an affordable and impactful home version is definitely a winner. 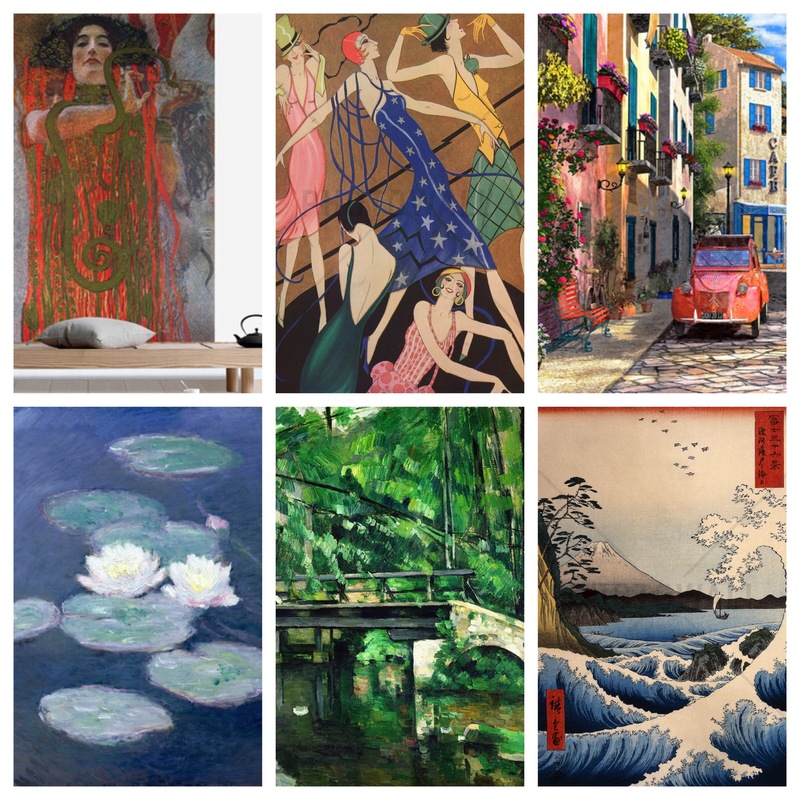 To turn a piece of art into a wall sized piece of art created from wallpaper is not only a great way to appreciate art but also an incredible visual for an interior design, and an incredible backdrop for your furniture. 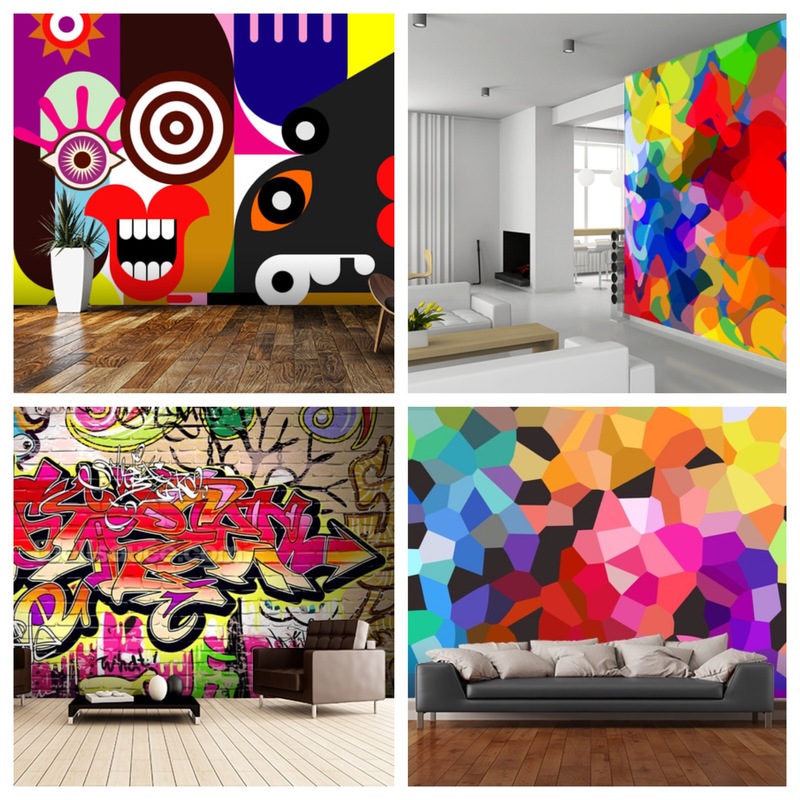 We’ve discovered Photowall as being a great site for not only a huge array of art and designs ready to go as wall paper (or wall murals) but they also turn your own art, designs or photographs into wallpaper too. It’s quite affordable so it’s even something you could change with a decor update, seasonally or when you just had a new image you preferred. You could choose imagery relating to current trends or colours, creating backdrops for any room that make a statement. Style with clean lines of furniture and not too much accessorising as this could get too busy. Let the wall paper speak for itself. 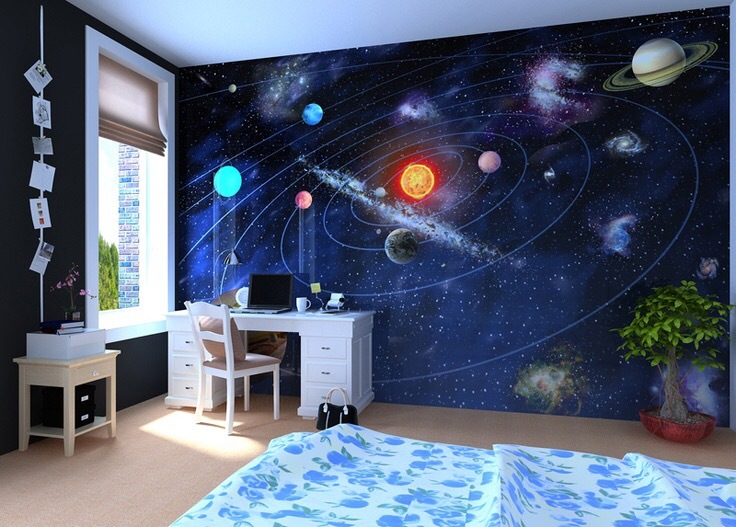 It’s a fantastic way to personalise a room and would be a very special way to theme a child’s room – turn it into a jungle, under the ocean or even a set from their favourite film!